Mother’s Day is a week from today – can you believe it? 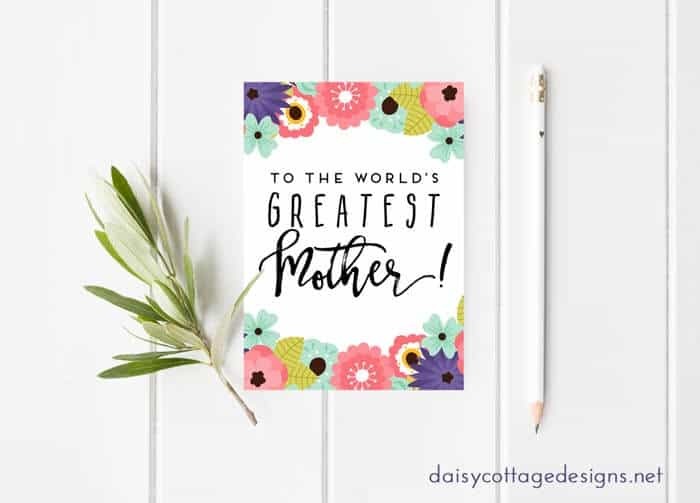 Why wait until the last minute to purchase a card when this printable Mother’s Day card is right at your fingertips? Downloading this card is a breeze (there’s a link to the PDF at the bottom of this page – no hoops to jump through). Just print it out on card stock and print it out. I can’t let a Mother’s Day post go by without talking about mine. My mom might be the most helpful person I’ve ever met. She’d do anything for anyone, and she’s always looking for ways to help me, my brother, and people in general. She’s a wonderful grandmother, and was a great example of what a wife and mother should be. 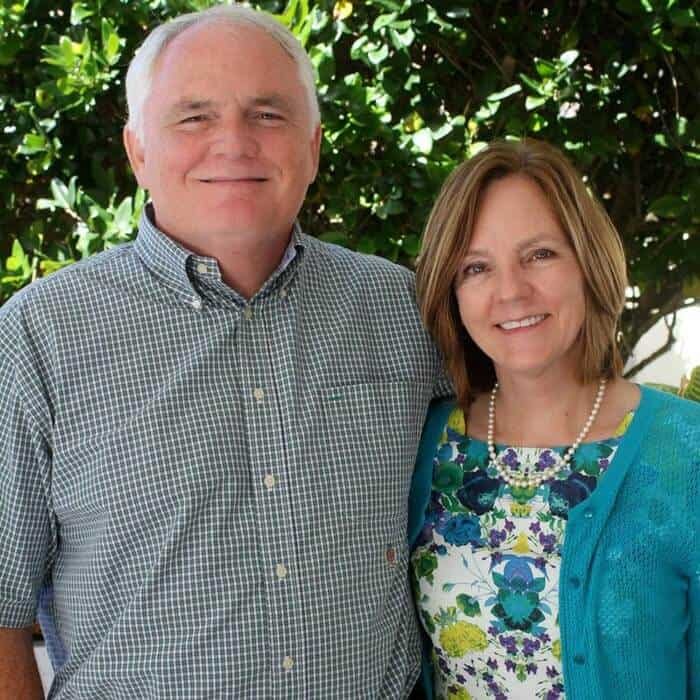 Proverbs 31 says that the virtuous woman’s children will call her blessed, and I really couldn’t let this opportunity pass without letting everyone in blogging land know how great mine is. Back to the printable, though. The flowers on this card are so bright and fun, aren’t they? I think they’re sure to put a smile on your mom’s face just like they will on my mom’s. 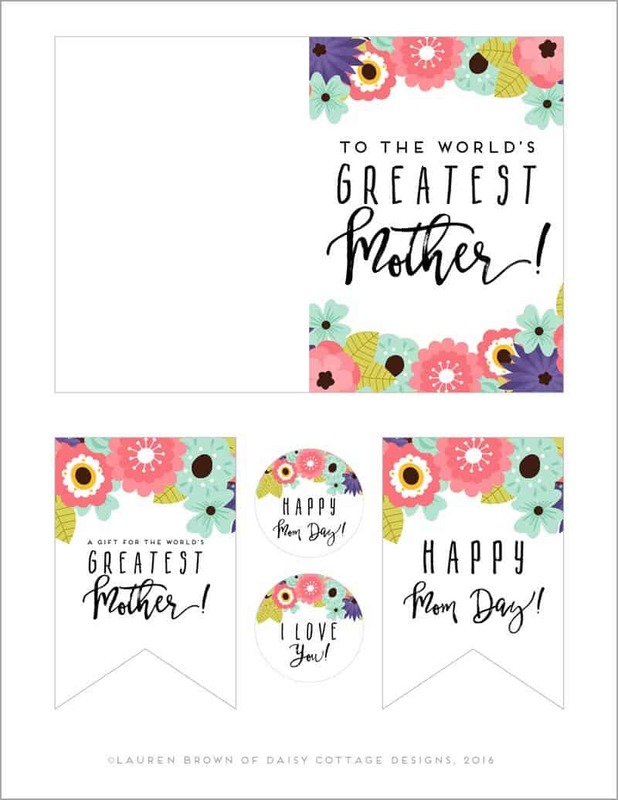 This set includes a 5×7 card (which is 10×7 before you fold it) and four gift tags in two different shapes and two different sizes. The gift tags would look great tied around a stack of these pretty coasters – if you crochet they’re a quick and easy gift. Your download will include everything you see above. Print it out on card stock, trim, and you’ll be all ready for Mother’s Day! Download the PDF by clicking here.